NEW YORK — Pixar co-founder and former Disney animation chief John Lasseter, who last year was forced out after acknowledging "missteps" in his behavior with women staff members, has been hired to run the recently launched animation division of Skydance Media, the production company announced Wednesday. Lasseter, one of the most illustrious and pioneering figures in animation, stepped down from Disney last June in the wake of complaints about unwanted workplace touching. In a statement, Lasseter said he has spent the last year away from the industry in "deep reflection, learning how my actions unintentionally made colleagues uncomfortable, which I deeply regret and apologize for." "It has been humbling but I believe it will make me a better leader," said Lasseter. In a memo to staff, Skydance chief executive David Ellison emphasized that he didn't take the decision lightly. Ellison said Skydance employed outside counsel to "thoroughly investigate the allegations" against Lasseter. "John has been forthright in taking ownership of his behavior, apologized for his actions and has spent the past year on sabbatical analyzing and improving his workplace behavior," Ellison told staffers. Time's Up, the organization founded to combat sexual harassment and gender inequality in Hollywood and elsewhere, sharply criticized the hiring of Lasseter. "Skydance Media's decision to hire John Lasseter as head of animation endorses and perpetuates a broken system that allows powerful men to act without consequence," Time's Up said in statement. "At a moment when we should be uplifting the many talented voices who are consistently underrepresented, Skydance Media is providing another position of power, prominence and privilege to a man who has repeatedly been accused of sexual harassment in the workplace." Lasseter, 61, was a creative force behind every Pixar release and was an executive producer on Disney hits (including "Frozen," ''Moana" and "Zootopia") released under his stewardship of the animation giant. He also directed the first two "Toy Story" movies, the first two "Cars" movies and "A Bug's Life." In November 2017, in the aftermath of Harvey Weinstein's fall, Lasseter announced that he was taking a six-month "sabbatical" from Disney and apologized "to anyone who has ever been on the receiving end of an unwanted hug" or any other gesture that made them feel "disrespected or uncomfortable." Skydance Media, founded in 2010 by the 36-year-old Ellison, the son of Oracle billionaire Larry Ellison, co-produces and co-finances films with Paramount Pictures. It has been behind a slate of largely action films, including several "Mission: Impossible" films, numerous "Star Trek" releases, "Terminator Genisys" and "Jack Reacher: Never Go Back." Its upcoming films include the new "Top Gun" sequel. Skydance in 2017 formed an animation division that has two productions in the pipeline: Alessandro Carloni's "Luck" and an untitled action fantasy to be directed by Vicky Jenson. 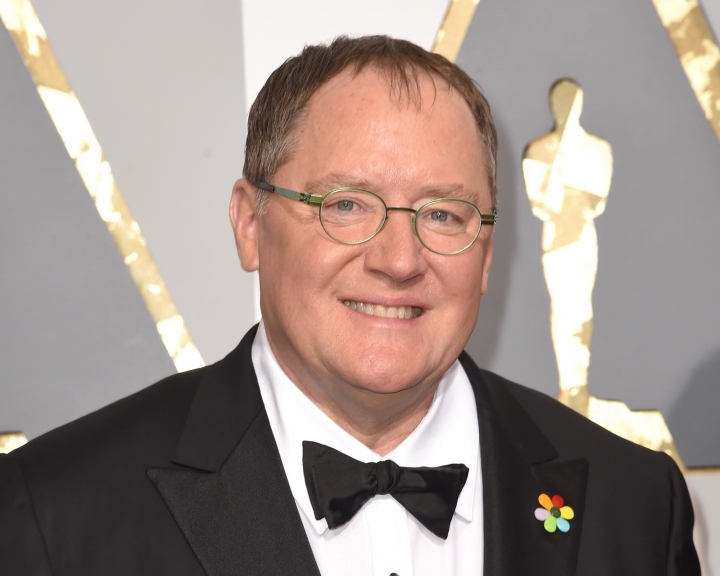 Lasseter will set the overall strategy and creative direction of the division, and oversee production.